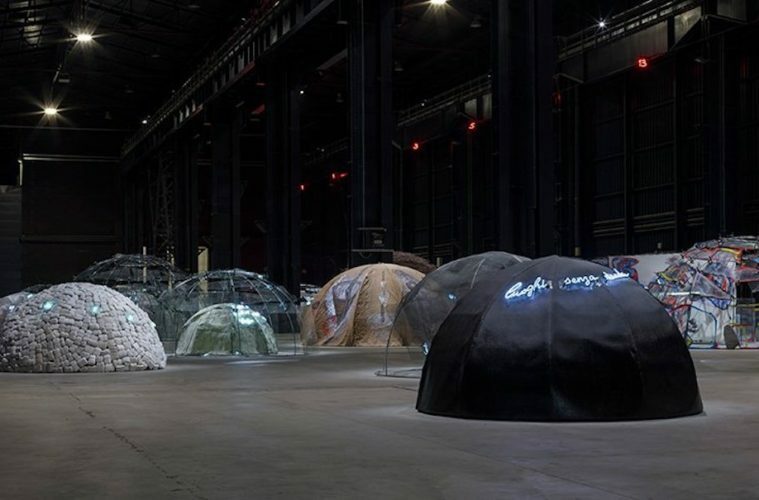 Milan’s Pirelli HangarBicocca presents ‘Igloos’, a show by the late renowned Italian artist Mario Merz that brings together his most iconic works together in the form of an igloo village. 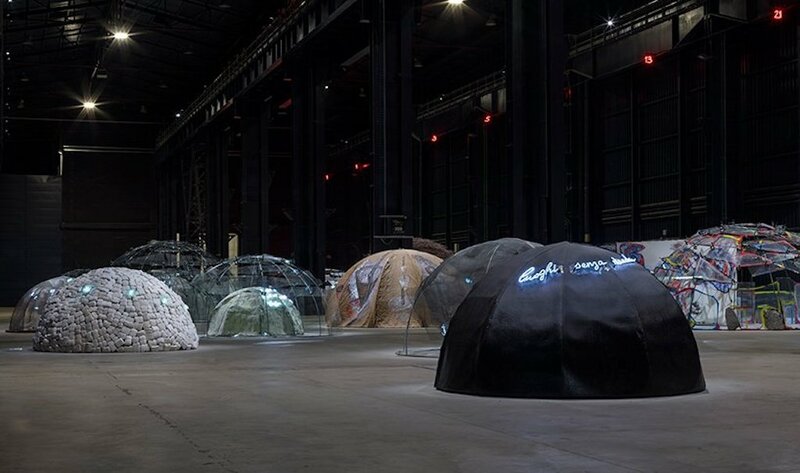 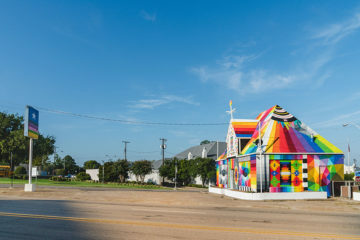 The exhibition showcases 30 large-scale igloos dating from 1968 until the end of his life and is the first time such a definitive body of his work has been displayed together since the Harald Szeemann-curated show at the Kunthaus, Zurich in 1985. 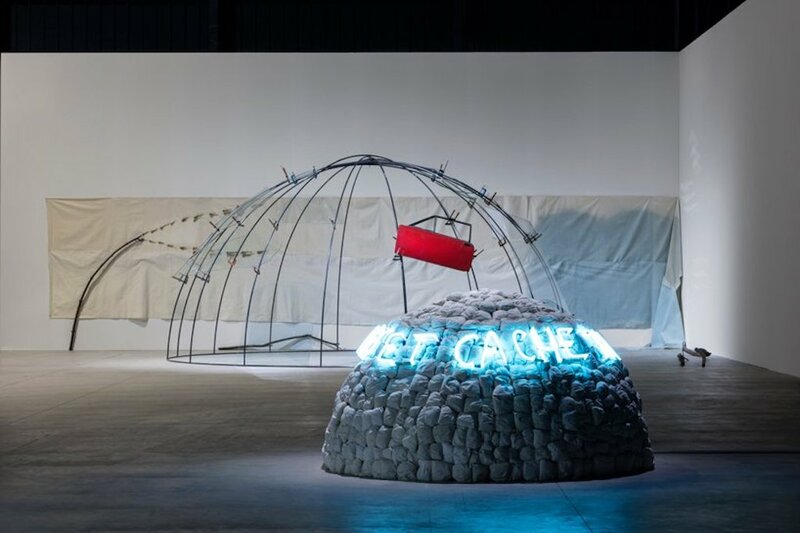 Igloos, hosted inside the Navate and Cubo spaces, sees visitors immersed in an installation that covers 30works gathered from numerous private collections and international museums — including Madrid’s Reina Sofia, London’s Tate and Berlin’s Alte Nationalgalerie. 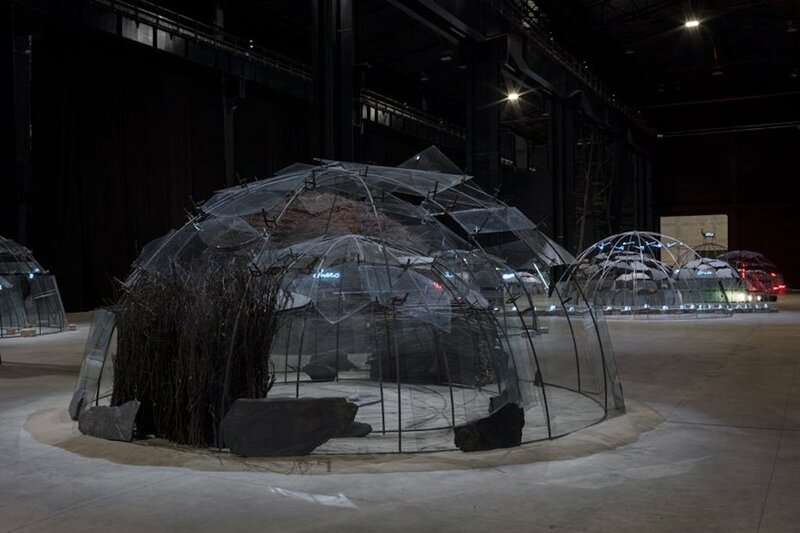 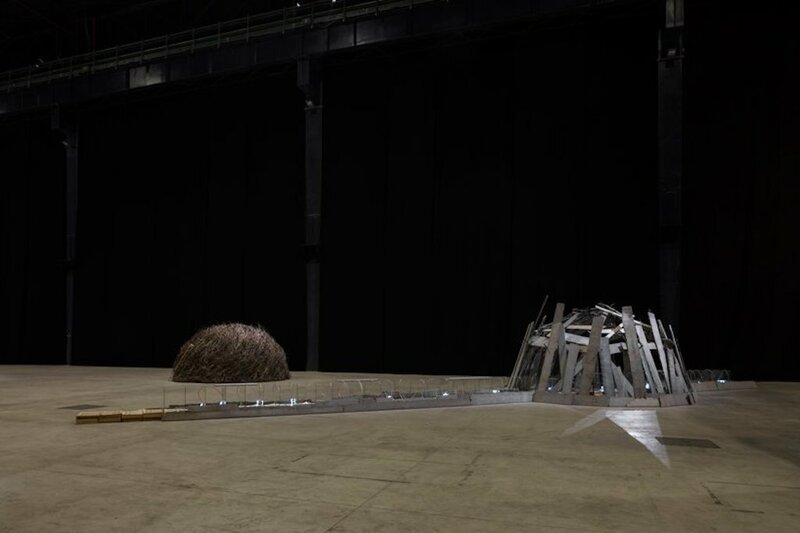 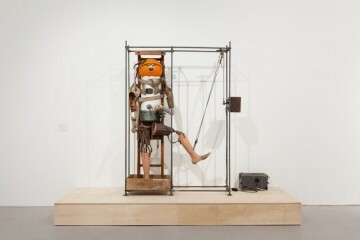 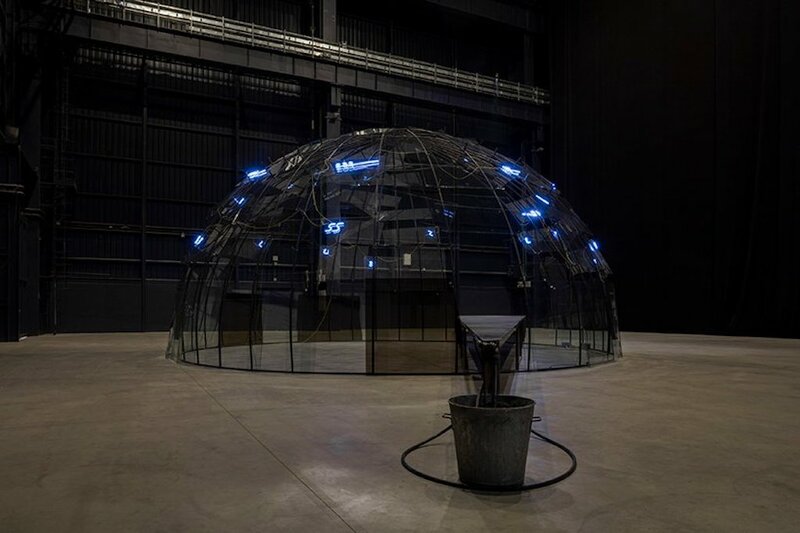 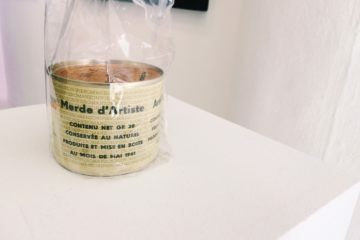 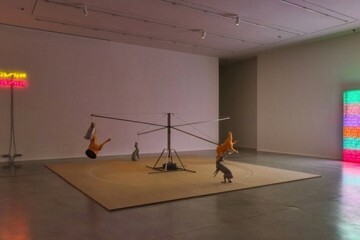 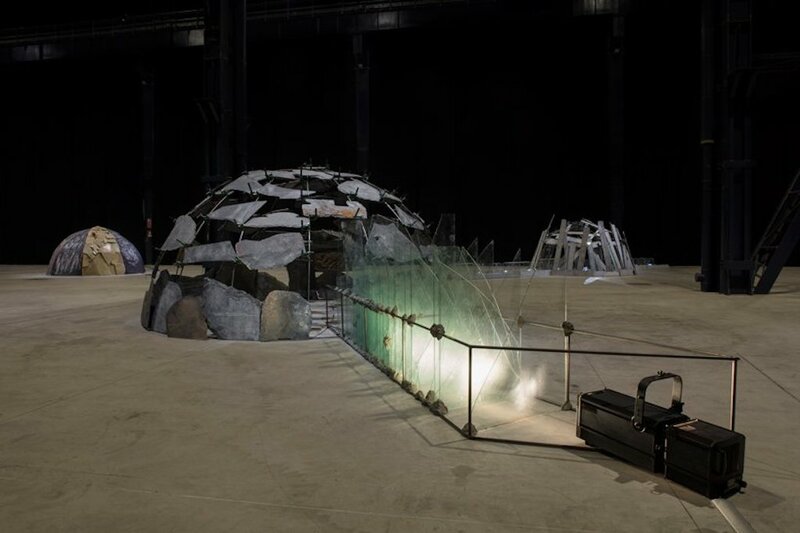 The exhibition, curated by HangarBicocca’s Vicente Todolí provides an overview of Merz’s work and how the artist developed his igloo imagery with coherence and vision, revealing the innovative aspects and themes of his research. 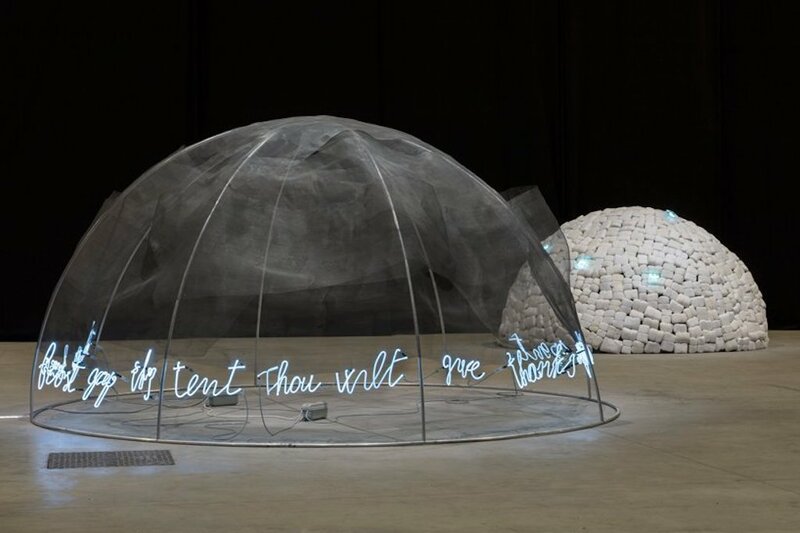 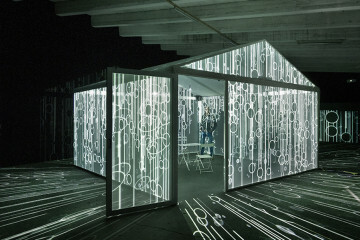 The different uses of natural and industrial materials, together with the poetic and evocative deployment of the written word surrounds the space and takes viewers into Merz’s world. 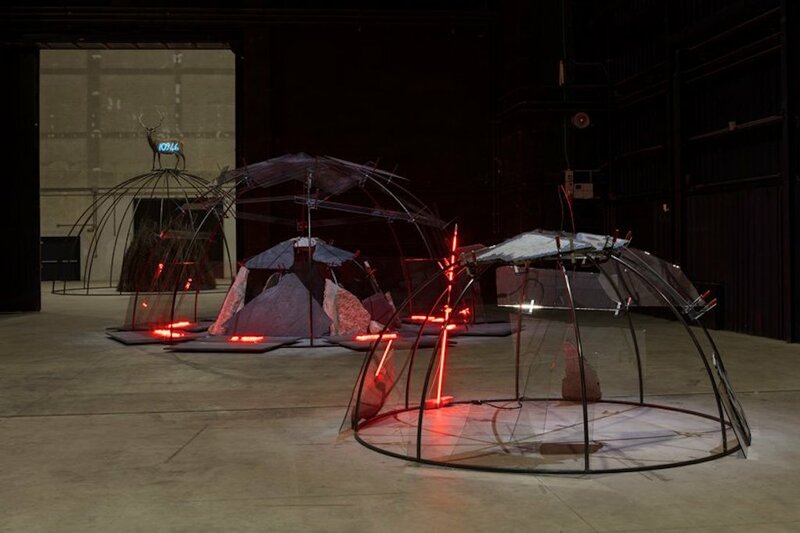 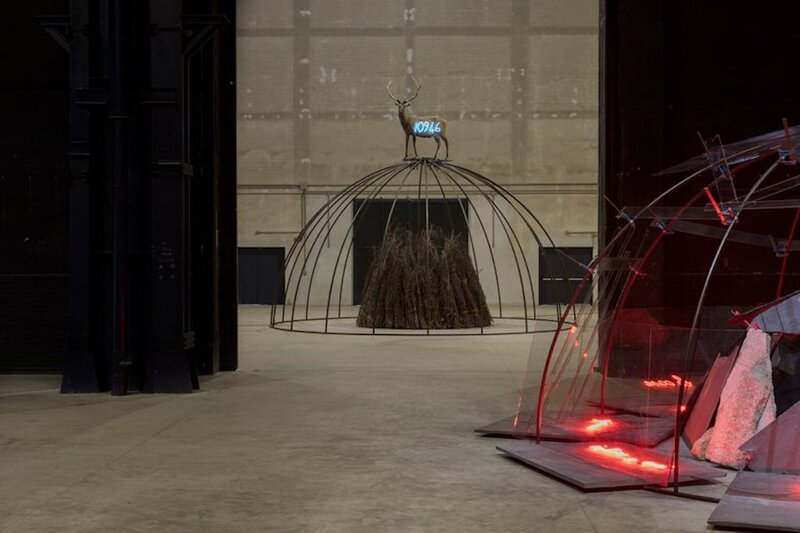 Mario Merz Igloos runs until February 24, 2019 at Pirella HangarBicocca.